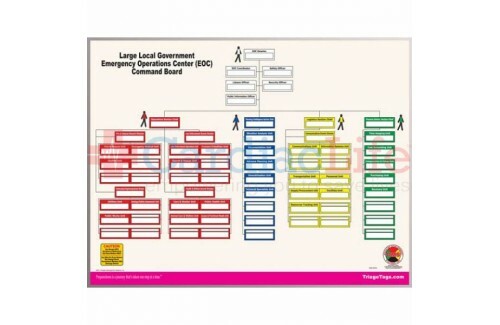 Sturdy Full-Color Dry Erase EOC (Emergency Operations Center)Command Board for Large Local Government. 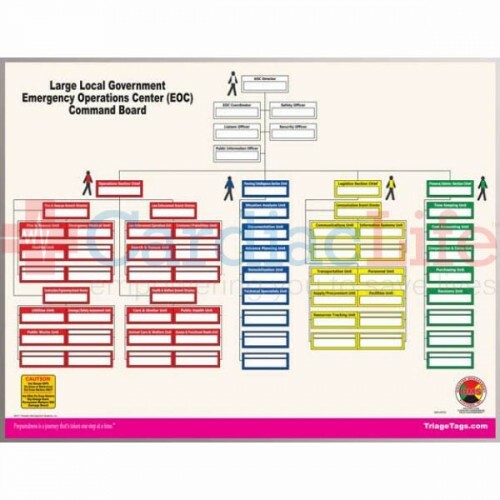 This DMS-05765 Command Board is an essential companion piece to the DMS-05757 - 45 Position EOC Vest Command Kit for Large Local Government. These command boards are a must for quick deployment of ICS positions.